The big risks from the latest (coordinated) epic global easing, its forex and other ramifications, reminds of the time I got paid 100 trillion dollars, seriously. Of course, it isn’t just the Fed that’s betting on unlimited money printing to stave off another crisis (at minimum) if not collapse. It’s European and Japanese counterparts are essentially doing the same thing, resulting in a (coordinated?) money printing scheme of historical proportions. For simplicity, we’ll focus on the Federal Reserve Bank. After it announced its latest quantitative easing scheme, there’s been a lot of speculation about the short and long term ramifications, both good and bad. In the near term, the move makes long-term debt more affordable for businesses and consumers, which theoretically will boost spending, which in turn should lead to job creation as businesses hire to meet the growing demand for their goods and services. If that process takes a while, so what? There is no time limit on QE3, so the low rate borrowing and easy cash will keep flowing until the economy improves. In the longer term, however, this vast expansion of the money supply from QE bond buying binges at minimum threatens to cut the value of currency and anything denominated in it. In other words, the big concern about QE 3 is rising inflation and the related loss of purchasing power and wealth that comes from incomes and real asset values not keeping up with inflation. Here’s a key point everyone should know: The Federal Reserve has a dual mandate: to keep a lid on inflation and maximize employment. The worst case result from QE 3 is that in the future we have unstoppable hyperinflation that could be as fatal to the economy as the current threats declining growth and mass insolvency from excessive debt. Meanwhile, however, low growth and weak employment are keeping inflation at or below an acceptable 2% in the US, despite rising commodity prices. Lowering unemployment from an unacceptably high 8% is the priority for now, hence unlimited money printing. However, what happens if inflation becomes a threat, and growth remains stagnant? How will the Fed navigate the conflicting demands of its mandate? Although Fed Chairman Bernanke hasn’t defined the Fed’s maximum acceptable inflation, Federal Reserve Bank of Chicago President Charles Evans has advocated continued easing until either unemployment falls below 7% or inflation rises above 3% and stays there. So it appears that inflation is not even on the Fed’s radar until it’s over 3%. But history has shown repeatedly that once an inflation wildfire breaks out, it can spread quickly and is often incredibly difficult to extinguish. This, then, is the Fed’s big bet: that if this latest expansion in money supply brings inflation over 3%, they in fact will be able to control and reduce it quickly enough to avoid material damage. Those who were around during “The Great Inflation” of the 1965-1980 era of know that. Some experts believe that it was caused by the very same thing as QE 3–policy makers expanding money supply too much, too fast, in order to fight unemployment. For further details, see commentary at the St. Louis Fed about this, written by economist Allan H. Meltzer. 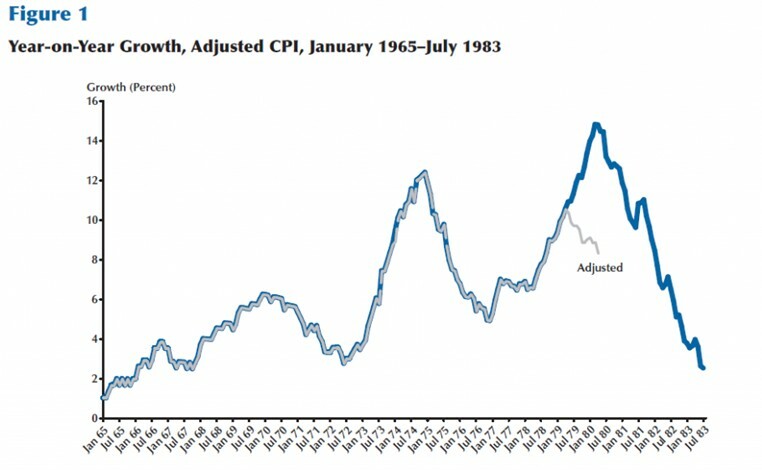 Here’s a chart from his work indicating how difficult it was to put the inflation genie back in the bottle once it got out. In short, Meltzer warns that if the Fed has miscalculated and/or politicians don’t take the threat of inflation seriously, it may be too late before they realize the errors of their ways. Actually, the disturbing thing is, none of the likely outcomes are good. Let’s just consider what happens if, per the Fed, all goes according to plan. Unless you believe most people will keep up with a 30% per decade loss of purchasing power from their US dollars, then it follows that we’ll see more of the continued destruction of the US middle class’s standard of living. If you think that 3% inflation is small change, then think again. As Wolf Richter recently wrote here, the Fed is now ok with 30% inflation per decade. How many of you are confident that you can grow your income and/or wealth at that rate? Even if you’re confident that you can (congratulations), that’s just for keeping your current lifestyle. If you’re thinking about starting or expanding a family, or want to save more for your retirement, you need to do much better in nominal terms. Make it up with yield? You bet. I mean, forget it. Its Zero Interest Rate Policy will stay in place indefinitely, the Fed reassured us, as it pushed its ZIRP horizon from mid-2014 to mid-2015, to be extended ad infinitum. Make it up with higher wages? Um, no. Wage increases must lag behind inflation … to make wages competitive with those in China or Mexico. And that’s been happening since 2000 [read…. The Pauperization of America]. The reduction of the US middle class’s spending power likely means a similar haircut for emerging markets whose success is based on that spending. Will any other nation make up for those lost exports? Europe looks worse than the US, as it’s faced with the same challenges as the US, and has the added burdens of its current dysfunctional monetary union and GIIPS economies. The emerging markets’ middle class is still emerging, and is unlikely to pick up the slack as long as most of them earn their money exporting to the West. That’s the big obvious risk. For the sake of brevity I’ll just mention some of the others and leave elaboration for another time. Geopolitical risks: A falling USD undermines export economies like Germany (which needs to be healthy to fund EU bailouts) and China (the primary global growth engine). It also feeds food inflation. Remember that past bouts of that have sparked unrest in both China and the Middle East. Unrest from another Arab Spring could once again spike oil prices and further fuel inflation. Anticipation of more stimulus has been the prime driver of stock market prices. The Fed can’t exceed expectations for more if it’s already promised unlimited stimulus. Again, this is the best case. What if the Fed’s Big Bet is a loser? That thought brings me to the story of my biggest payoff ever. Earlier this year, I posted a review on amazon.com of the book Planet Ponzi, written by hedge fund CEO Mitch Feierstein. I was quite positive, given that it was the only explanation of the Great Financial Crisis that was not only informative and well written but also had me laughing often. The author tracked me down and kindly sent me 100 trillion dollars cash in gratitude-seriously. OK, it was 100 trillion Zimbabwe dollars, a single USD sized bill. I’m told you can get these for about $5 dollars each on eBay, but I wouldn’t part with mine for anything. It hangs over my desk as a warning, haunting specter, like Ebenezer Scrooge’s vision of The Ghost Of Christmas Yet To Come. I hope our leading central bankers get one of these too, as a reminder of what can happen they’re wrong. So what do you do in a world where long term inflation and ZIRP are the best we may be our best outcome? Whether you agree or disagree with the current money printing party as sound public policy, it’s not good news for those seeking to preserve and build wealth. The most important lesson from the above, yet still ignored by most US dollar-based investors, is the need to diversify out of the US dollar into assets linked to or denominated in currencies that are not being printed into oblivion. The same actions would be wise for those based in the EUR, JPY, or other currencies issued by central banks suffering from monetary incontinence. 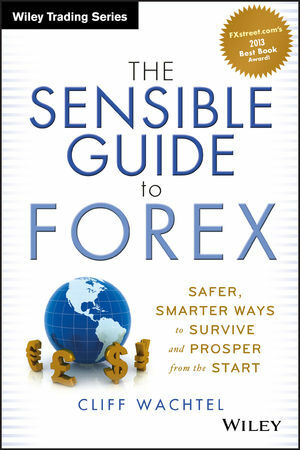 Forex trading: There are safer, simpler. Less demanding ways to trade or invest in currency pairs than the stereotypical high leverage high risk affair short term variety. In fact there are numerous ways to get exposure to these markets with that are no riskier or more demanding than buying a stock or bond. Currency Diversified Investing: This involves identifying currencies in the most stable long term up trends vs. your local currency (ideally vs. most other major currencies), then going through the same vetting process you would for the stocks, bonds, real estate, etc. that are linked to or denominated in that currency. Don’t worry, getting some currency diversification need not be complicated, time consuming, nor any riskier than stocks (no damnation by faint praise intended). There are many possible approaches to suit a wide range of risk tolerances. I’ve just written an entire book on them, see here for details, and here for further details. Until credit markets start raising rates to compensate for even the Fed’s best case inflation risk, anyone owing debt, or otherwise benefiting from low rates, is at least a relative beneficiary and related investments outperform other assets, even if that only means losing less (still something). As suggested above, the ideal way to play the following assets is to have them linked to or denominated in currencies backed by less dilutive central bank policies and economies not burdened by financial sectors needing bailouts or excessive public and private debt loads that makes money printing so tempting. QE, OMT, etc. are good for any asset that benefits from easy credit. The financial, housing, and consumer goods sectors are obvious beneficiaries while the party lasts. Stocks have not moved up much since the ECB, Fed, and now BoJ, announced their new easing, but then, they didn’t respond right away to QE 2 either. A less covered sector that deserves mention is utilities. They borrow a lot to pay for their big ticket equipment, and also tend pay relatively high yields for the growing cohort of the population trying to fund their retirements. Note however, that if you buy their shares, these tend to fluctuate with the rest of the market. So if you’ve reason to believe that stocks will drop, be prepared to hold them for the income for while or take a loss. Certain Overseas Real Estate Markets: With low rates worldwide, certain markets make sense. The key criteria are healthy real estate markets (read: not overbuilt or overpriced relative to incomes of the typical, not necessarily local, buyer) and sound fiscal policy. As for US real estate, I’m not ready to join those calling the bottom, given the remaining excess capacity (see here for details from economist Gary Shilling). Other Hard Assets: Gold, silver, oil, and other classic currency hedges. This asset class is already much covered and too big to cover here. There are other options, as I’ll bring up periodically in the months ahead. DISCLOSURE /DISCLAIMER: THE ABOVE IS FOR INFORMATIONAL PURPOSES ONLY, RESPONSIBILITY FOR ALL TRADING OR INVESTING DECISIONS LIES SOLELY WITH THE READER. IF WE REALLY KNEW WHAT WOULD HAPPEN, WE WOULDN’T BE TELLING YOU FOR FREE, NOW WOULD WE?